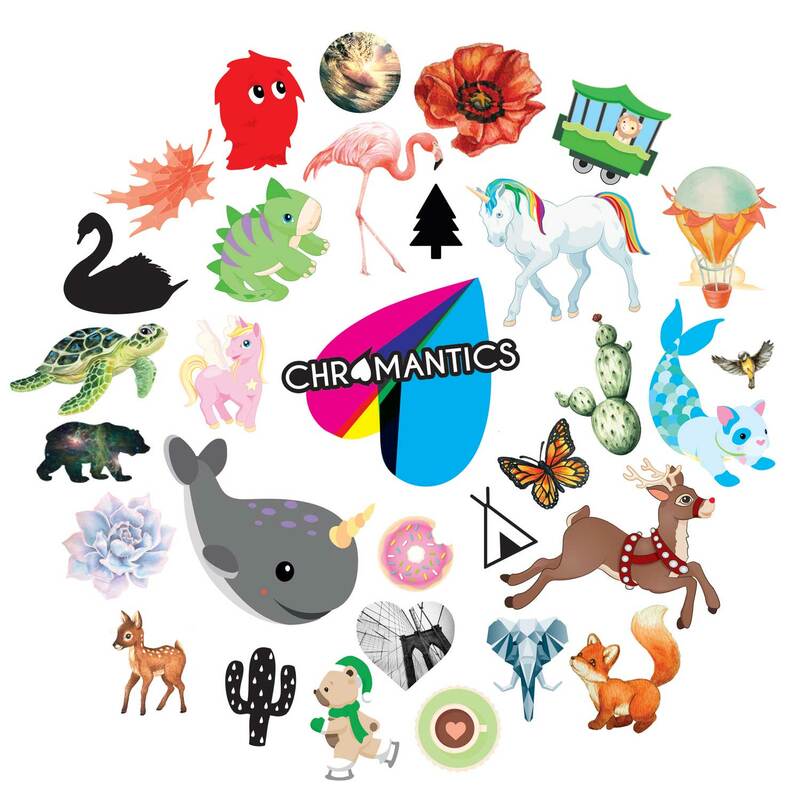 Chromantics was founded by a family of artists and designers who absolutely love color and design. It is our belief that a bright and colorful environment will lead to a bright and colorful day. We understand how taxing it can be to decorate your home, office, nursery, etc. We believe that the more you can customize your space and give it touches of your own personality, the more happy and inspired you will be. After a lot of long hours and hard work, we came up with Chromantics Wall Decals, affordable and quality art and decor that can be easily used in a variety of settings. All Chromantics Wall Kits are made in the USA using high quality materials. The kits are printed on an adhesive vinyl fabric that will not damage your walls, nor will it leave behind the sticky residue that other products produce. The wall decals in each kit are easily removable, re-positionable, and reusable. The designs will not curl or bubble when properly applied. Each Decal Set is made to order. Please keep in mind this means that each order will require a few days to process and ship.